The tests in Germany took place from October 13 to November 12, 2018 – the ones in Austria from October 20 to November 9. 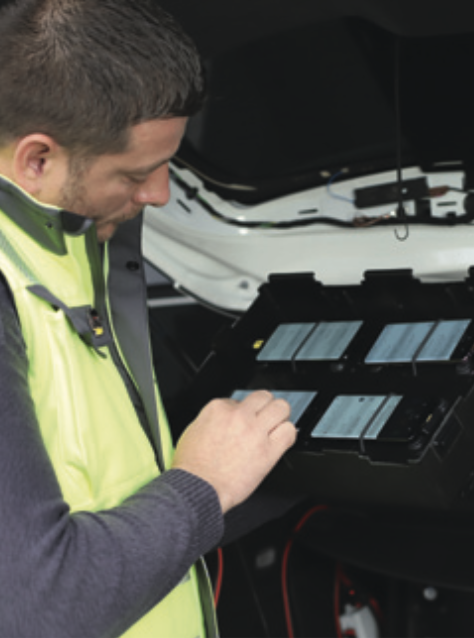 For each country, connect‘s partner for the network measure­ments, P3, used two ve­hicles for drivetesting the cho­sen cities, towns and roads. Each car ­carried a total of six Samsung ­Galaxy S8 smartphones. One per operator was used for the voice tests and another one for the ­data measurements. In Germany, the measurements included 19 larger cities and 68 smaller towns, while the walktests frequented ten cities. The measurement cars drove a total of approx. 9,750 ­kilometers. With their drivetests, they covered about 14.1 million inhabitants which equals about 17.15 per cent of the German popula­tion. All in all, a total of 17,570 voice samples und 169,785 data samples was collected. 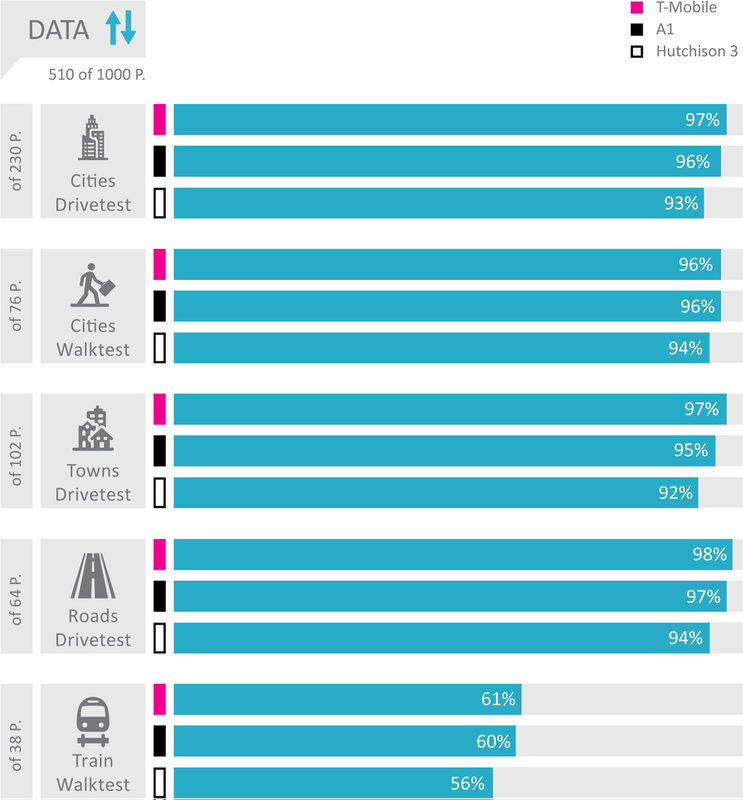 In Austria, the drivetests covered 11 big cities and 20 smaller towns, the walktest team ­visited seven cities. Here, the vehicles covered about 3.1 ­million inhabitants or 35.3 per cent of the population. In the course of the measurements, a total of 12,177 voice and 113,840 data samples was collected. The results of the crowdsourcing analyses performed by P3 contribute 15 per cent of the total score. For this purpose, a total of 1.48 billion single measurement values from von 227,000 mobile communications users from August until October 2018 was evaluated. For Austria, approx. 710 million values from 76,000 users. For Germany, this comprises 88.5 per cent of the total built-up area, in Austria 89.7 per cent. to actively support our network test can do this by installing and using the connect app (see box below). However, it is only one of many apps con­taining the described background functionality. Another aspect determined in the crowdsourcing are outages of degradations of the (data) network connectivity. A sophisticated algorithm distinguishes simple loss of network coverage (such as in elevators, car parks or indoors) from actual degradations. Incidents that occur at night between 0 am and 6 am are not considered. In contrast to the other crowd results, the service availability considers a six month period – here. from May to October 2018. Points will be deducted for the number of days and the number of hours with service degradations. Still, the high relevance of connect‘s mobile network test to the operators sometimes takes on strange forms. 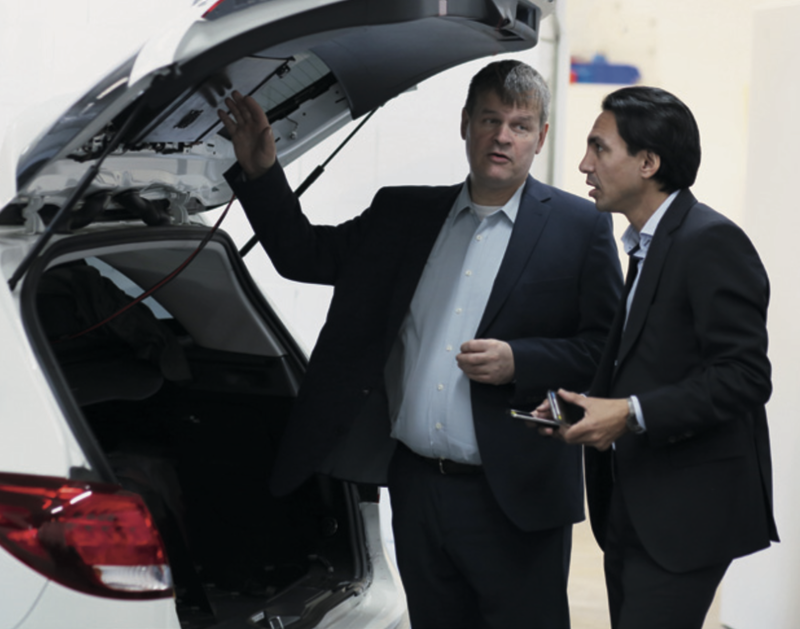 connect readers called our attention to the fact that during the testing one of the operators installed ­mobile base stations close to a part of the autobahn that was likely to be part of our drivetest route. As investigations by connect concluded, this may be a common procedure before the planned buildup of new network cells at the location in question. Additionally, intense examina­tions conducted by P3 also showed that even an installation of all available mobile base stations would not noticeably affect the result of an operator. In one country which was not participating in the network test at hand, we also noticed an attempt to polish the crowdsourcing results up by the means of manipulated smartphones. They conspiciously travelled throughout the whole country. However, as the conspicious results were easily recognisable, P3 managed to filter them from the data pool. It is unclear whether an operator, a supplier or a competitor of connect is behind these manipulations and whether they intended to boost the results of the affected network or to discredit the same network or ­connect – especially as it is not possible to identify the originator due to the anonymous data collection. 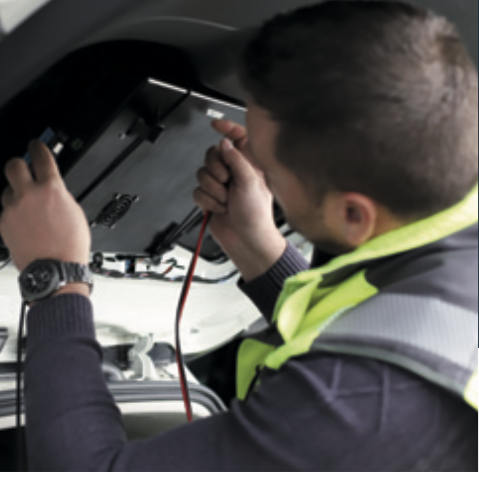 Our network test has been the de-facto industry standard for many years, thanks to its elaborate methodology and continuous adapta­tion to technological innovations. As ­announced last year, we have made it even more comprehensive by now amending the new dimen­sion of crowdsourcing. In Germany, a strong Telekom achieved the overall victory for the eighth time in a row. The Bonners were even able to top their previous performance once again. In our new crowd discipline, Telekom also takes the lead. Vodafone’s overall performance remains more or less constant – resulting in the second rank and the grade good for the Düsseldorf based operator. The crowd score achieved by Vodafone ranks in the middle field as well. Although O2 remains on the third rank at some distance to the other contenders, the Munich company managed to increase their performance clearly compared to the previous year. Especially in larger cities, the efforts taken for the integration and expansion of the formerly separate E-Plus and O2 networks pay off. However, in smaller towns and on the connecting roads, there remains work to be done. The results of our tests on German railways are nothing but sad. No progress at all can be seen in comparison to pre­vious years. Poor performance results both for ­telephony and data communications clearly demand for ­finally facilitating some improvements in this field to all three German mobile operators. 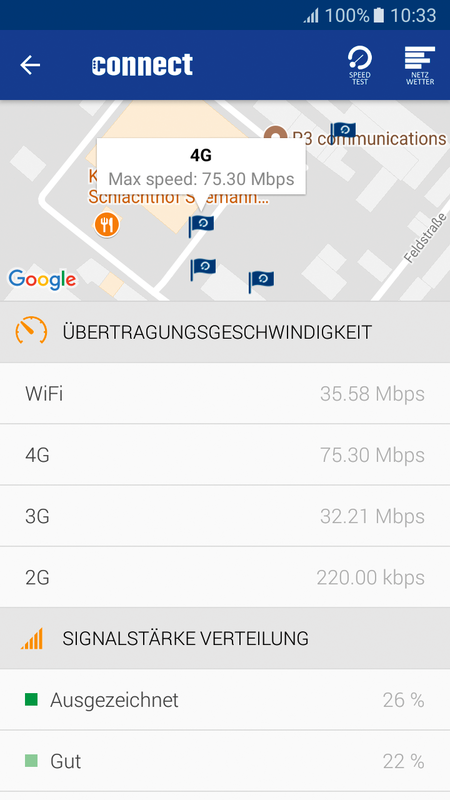 In Austria, the performance level of the mobile network is altogehter higher than in Germany. All three Austrian operators achieve the ­grade “very good“. This time, T-Mobile manages to battle its way to the top from the third rank in the previous year. This operator owes its success to distinct improvements parti­cularly in the data discipline. Market leader A1 Telekom ranks second at a close call. In the new crowd score, A1 even leads the field. This operator is especially stong in smaller cities, where it takes the lead at a narrow distance over T-Mobile and a more distinct one over Three. Hutchison/Three’s result is about the same as last year. A direct comparison reveals a slight improvement in the voice and a slight degra­dation in the data discipline. Furthermore, the crowd score indicates some weaknesses in 4G coverage. But all in all, Three also achieves the overall grade “very good“. 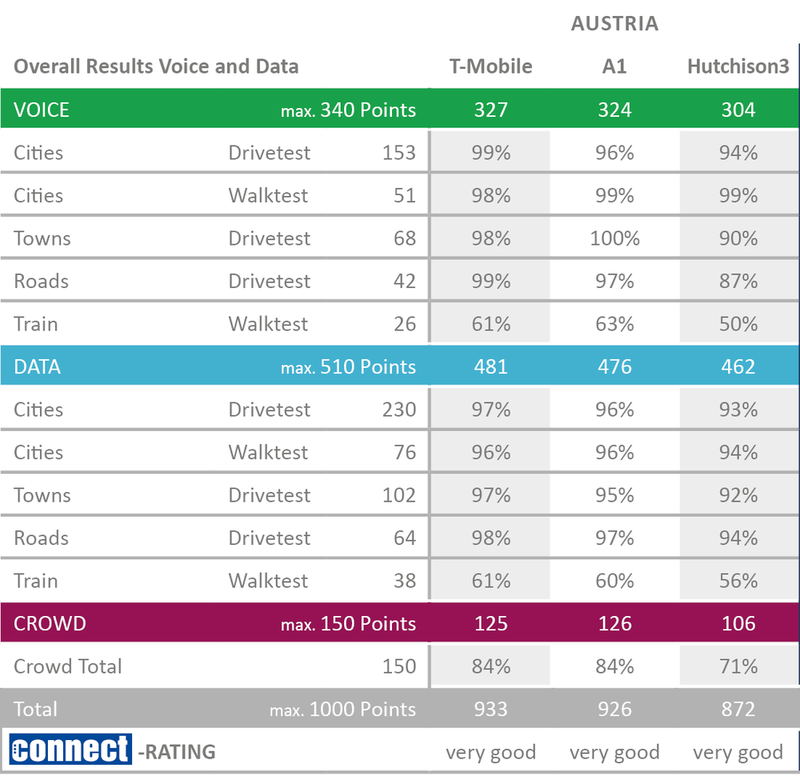 On the Austrian railways, T-Mobile was able to improve its voice results in comparison to last year. The other contenders drop back a little compared to their previous ­results. In the data discipline, all three have lost some points. Presumably the considerably improved WiFi offering of the Austrian Railways ÖBB puts more stress on the mobile ­networks. However, in comparison to ­Germany, the results still demonstrate a clear lead.